Women's striped midi skirt from KENZO. 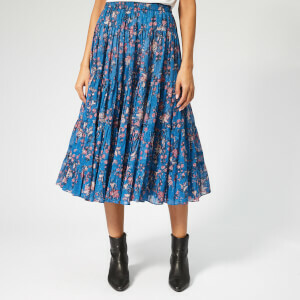 Cut from silky fabric with a vertical, jacquard striped design, the skirt features an elasticated paperbag waist and adjustable self-tie fastenings. Falls to mid-calf length. Model is 168cm/5'6" and wears a size UK 8/EU 36.